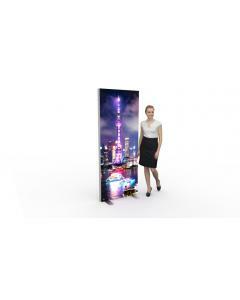 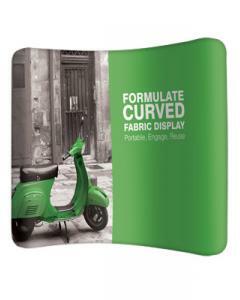 This UK manufactured double sided tension fabric display stand is manufactured from 50mm deep highest quality aluminium profiles. 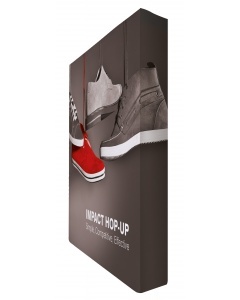 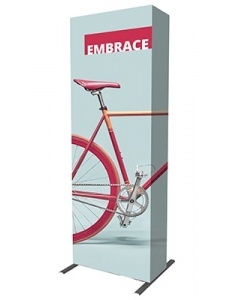 The heavy weight powder coated steel feet ensure it is freestanding and the seamless fabric graphics with silicon edging provide a flawless and high impact graphic display. 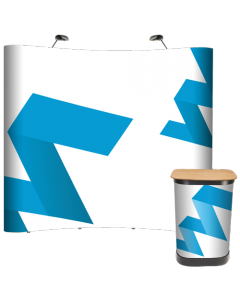 The Tension Fabric System allows the simple fitting and removal of tension fabric graphics. 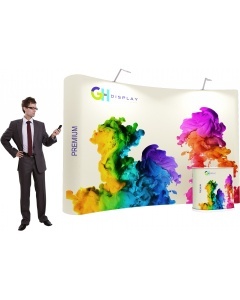 This also allows for safe and easy transportation of graphics, just fold up and pack away. 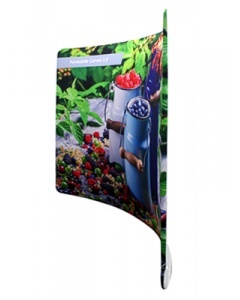 Next time you use the graphic, the tension fabric system channel effectively irons out the creases by stretching it to fit the frame. 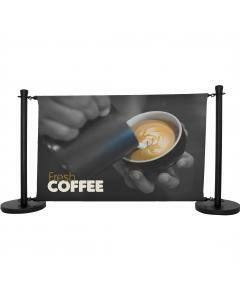 Comes in a wide range of sizes as standard as well as custom sizes. 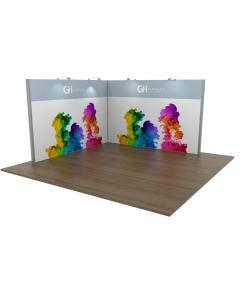 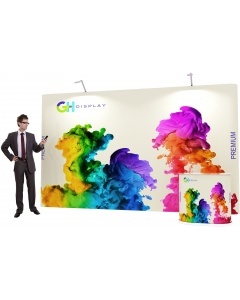 Tension Fabric Systems are perfect for exhibition displays and stands, retail displays, window displays, showrooms, reception and foyer areas, roadshow events and museum graphics. 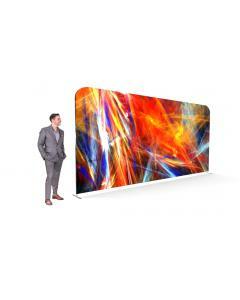 In fact any interior would be complemented by the inclusion of a Tension Fabric System graphic display. 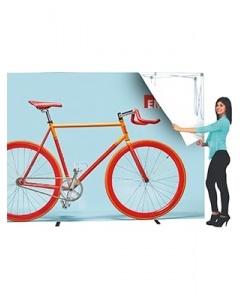 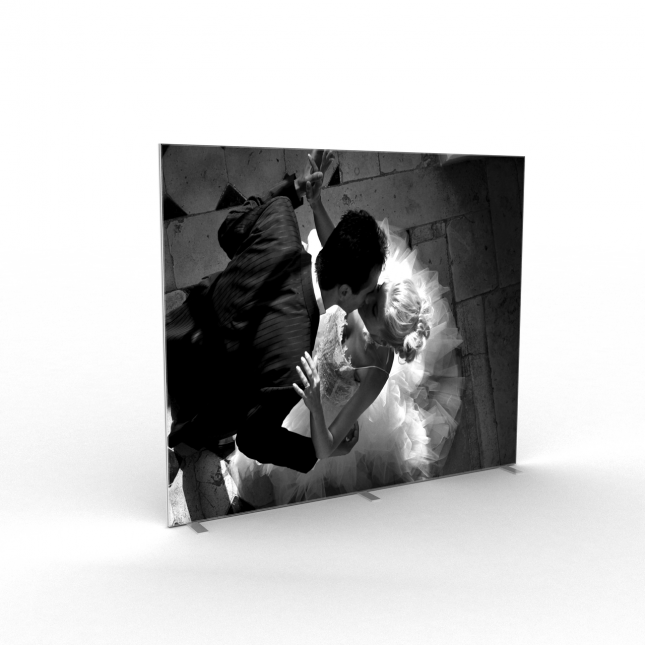 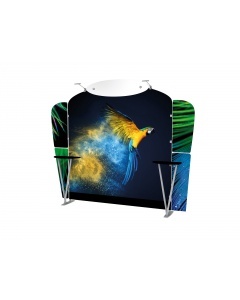 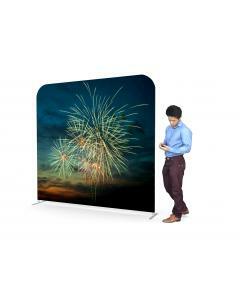 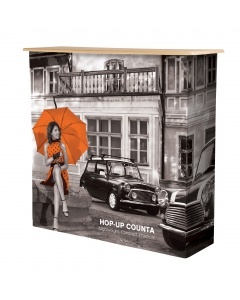 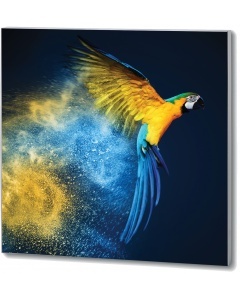 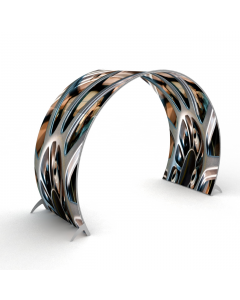 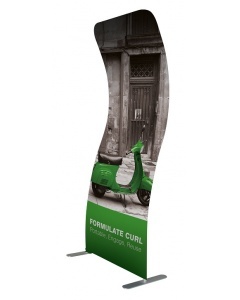 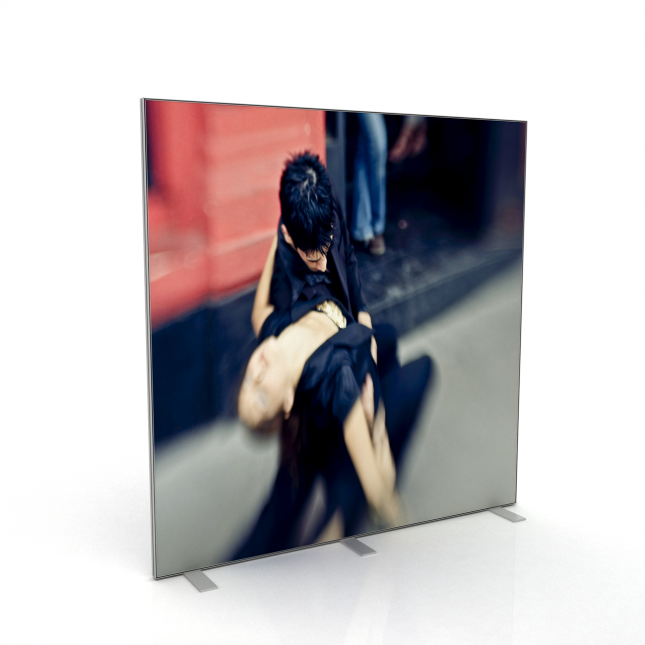 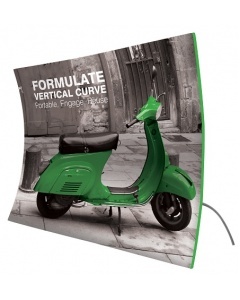 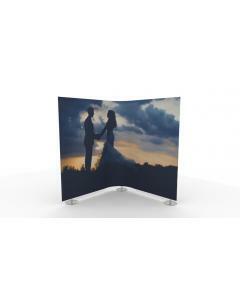 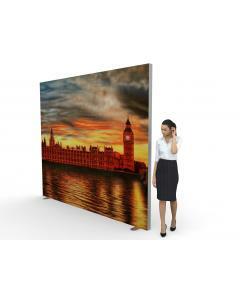 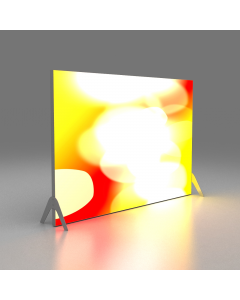 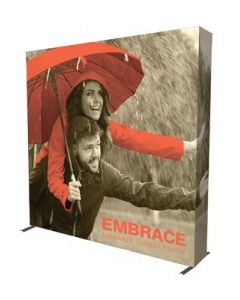 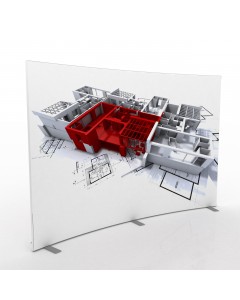 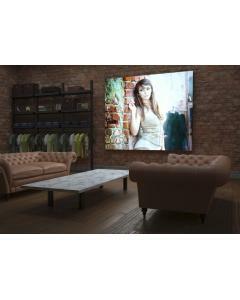 The Tension Fabric System consists of frames connected with a bracket in each corner and can be built in a relatively quick time frame, including the simple mounting of fabric graphics. 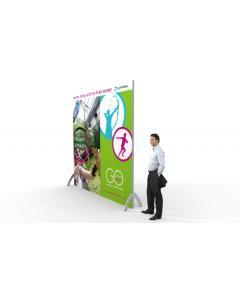 To frame is supplied with Allen keys.Fabric graphics for both sides included. 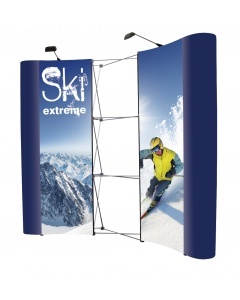 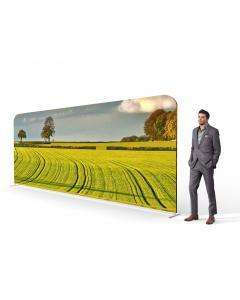 The Double Sided Freestanding TFS system comes in two height options; 2000mm and 2500mm. 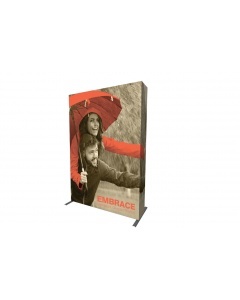 There are four width options to choose from. 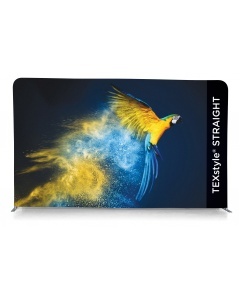 Why choose the Tension Fabric System? 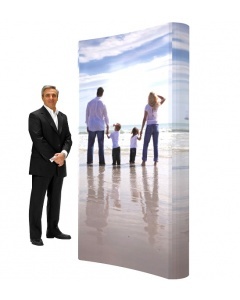 Custom Sizes: Request a quotation for a custom size via our contact us enquiry form. 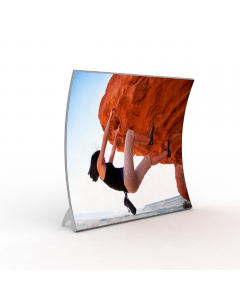 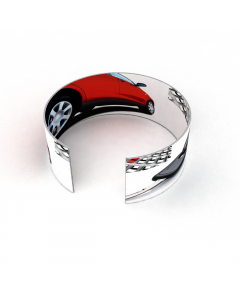 Warranty: Hardware manufactured in Britain from high quality materials and guaranteed for 5 years. 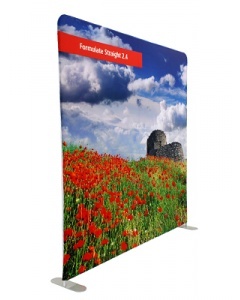 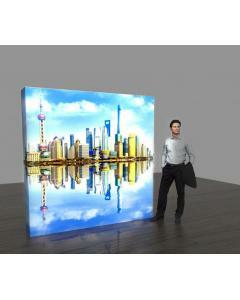 Material: Frame is made from the highest quality 50mm aluminium profiles. 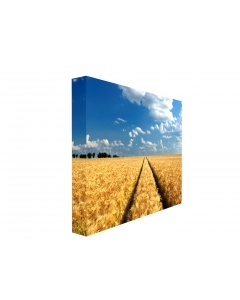 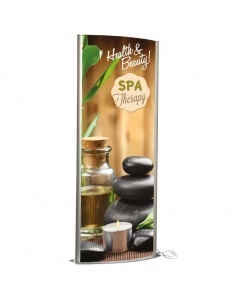 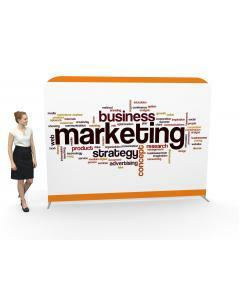 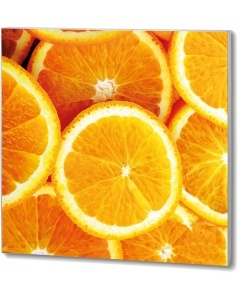 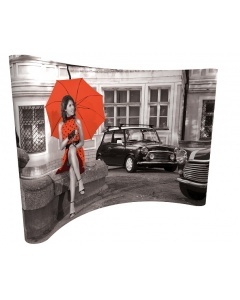 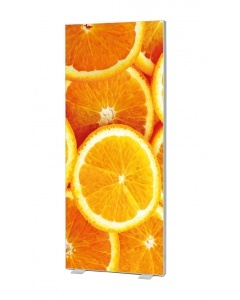 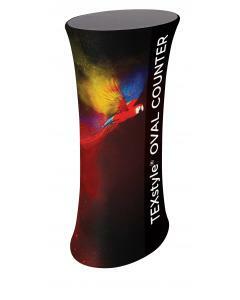 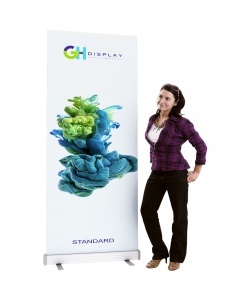 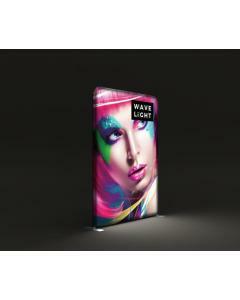 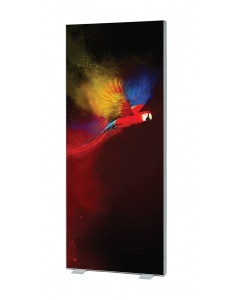 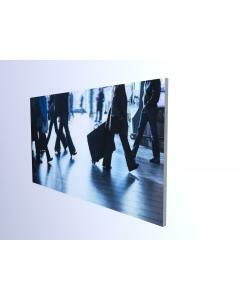 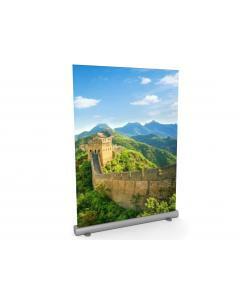 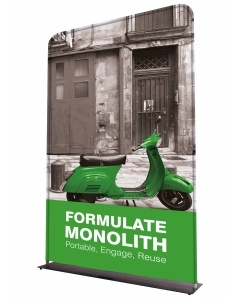 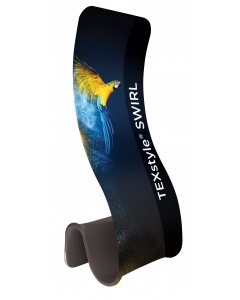 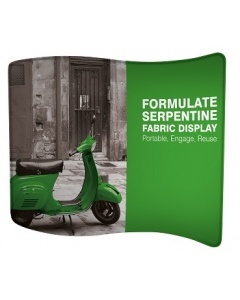 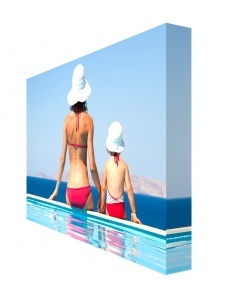 Graphics: Fabric graphics printed on stretch display polyester included for both sides. 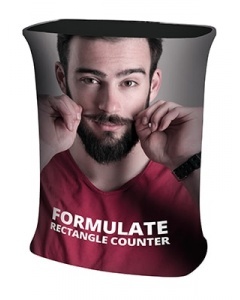 Your fabric graphics are printed using the dye sublimation printing technique to ensure a long lasting and durable print. 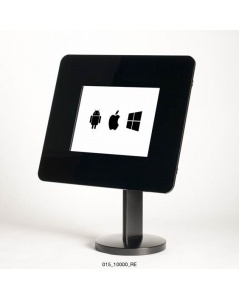 Download the assembly instructions below. 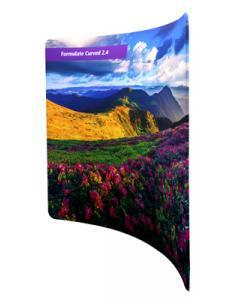 Please contact us for a graphic template.